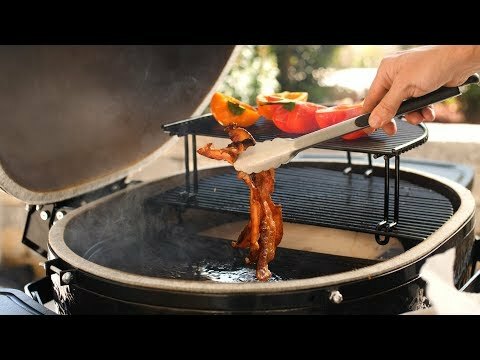 Maximize the versatility and unique shape of your Primo Oval XL Grill using the cast iron firebox divider. This heavy duty cast iron divider fits in the center of the firebox on your Primo Oval XL Kamado Style Grill, giving you the option of having direct and indirect cooking at the same time. For smaller cookouts, you can conserve fuel by filling only half the firebox with charcoal when this cast iron firebox divider is in place. This increases efficiency and cuts down on charcoal use, saving you money.